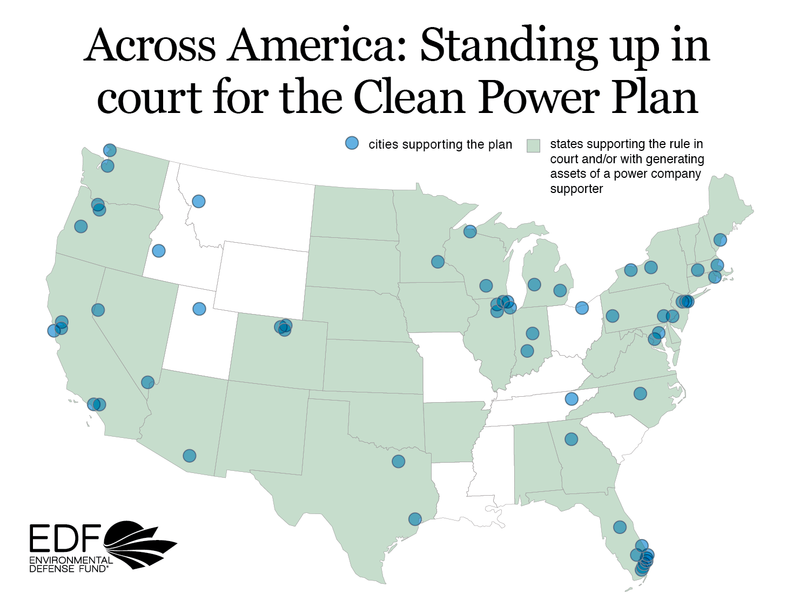 These cities have joined a coalition of 54 cities, counties, and mayors to file an amicus, or “friend of the court,” brief to support the Clean Power Plan — our nation’s first-ever standards to limit dangerous carbon pollution from power plants – against litigation brought by some of our nation’s largest polluters and their allies. These cities are doing what they can within their borders to act on climate. But they are calling on the court to uphold the Clean Power Plan because it provides a framework that can drive needed carbon pollution reductions in a sensible, flexible, cost-effective manner. The Clean Power Plan will also prevent an estimated 3,600 premature deaths and 90,000 asthma attacks annually once it is fully implemented. This entry was posted in Clean Air Act, Clean Power Plan, EPA litgation, News, Policy. Bookmark the permalink. Both comments and trackbacks are currently closed.